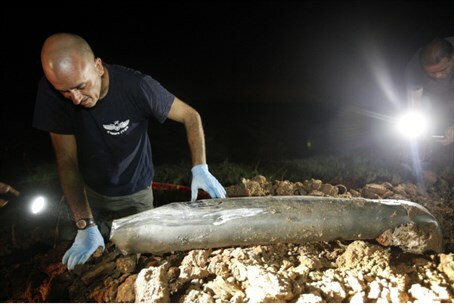 Terrorists fire a rocket at southern Israel, which hits an open area in the Hof Ashkelon Region. Terrorists in Hamas-controlled Gaza fired a rocket at southern Israel on Friday evening. The rocket exploded in an open area in the Hof Ashkelon Region. There were no physical injuries or damages. The “Red Alert” siren was heard in surrounding communities before the explosion, forcing local residents into shelters. Rocket attacks have been on the increase in recent days, especially after Hamas gave terrorists the "green light" to open fire at Israel by withdrawing its forces that were deployed to prevent such rocket fire. On Monday, two rockets were fired at southern Israel. The first one, on Monday afternoon, exploded in an open field near the Ashkelon coast. No physical injuries or damages were reported. Later that evening, Gaza-based terrorists fired another rocket at southern Israel. The rocket exploded in an open area of the Shaar HaNegev Regional Council, causing no physical injuries or damages. The IDF retaliated several hours later with airstrikes on a concealed rocket launcher in central Gaza and a terror target in northern Gaza. Last Sunday, an IAF airstrike wounded a senior Gaza terrorist, 29 year-old Abdulla Harti, who had been directly involved in rocket attacks on Israel.